Polyethylene dividers stand up to heavy use. Seven-hole punched flexibility for multi-ring or standard three-ring binder. Set is ready to use in a snap with self-adhesive labels. Polyethylene dividers stand up to heavy use. 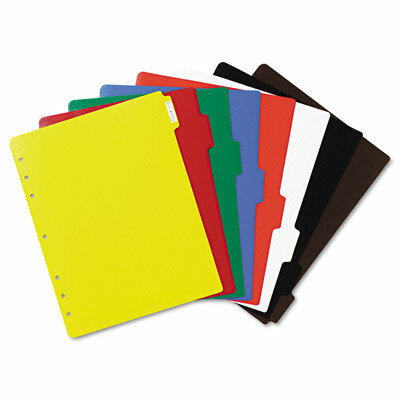 Seven-hole punched flexibility for multiring or standard three-ring binder. Set is ready to use in a snap with self-adhesive labels.